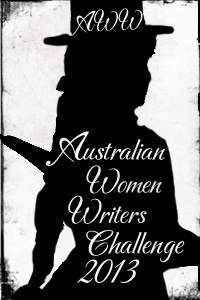 I’ve decided to take on the 2013 Australian Women Writers Challenge. This means I’m going to read and review a minimum of six books by Australian women writers. It totally fits in with my pledge to read more this year, and will hopefully help me prioritise which ones on my expanding pile get the nod! I have a rough plan, at least to start with. In a pile beside my bed are two books by Kim Wilkins and two by Glenda Larke — I suspect I’ll read at least one of each. I also intend to read my friend Deborah Kalin’s Shadow Queen and its sequel Shadow Bound. Then there’s The Devil’s Diadem by the late Sara Douglass. 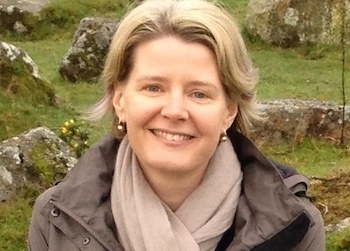 There is certainly no shortage of women fantasy/speculative fiction novelists in Australia. The more I think about it, the more excited I feel! I’m half tempted to increased my target number of six, but it’s always better to surpass expectation, isn’t it? All right, fellow book-lovers — and this will test my international friends — has anyone got any amazing novel recommendations by Australian Women Writers? (They don’t have to be in the fantasy genre.) I’m wide open to suggestions! MJ Scott – Shadow Kin: A Novel of the Half Light City. Hmm, interesting… I’ve never heard of it. Will add it to the list for consideration! Thanks! Just by having a plan put you miles ahead of me and my sadly lagging state of reading. I have the books–in piles, on shelves, stacked on the nightstand–but the plan is missing. Reading thrills me, having my selection of books ready and waiting excites me no end, and yet–they wait unopened. The problem stems from late nights playing catch-up with ordinary life, considering that if I’m balancing the check book or folding the laundry that went through the dryer seven hours earlier, I’m NOT reading during my designated reading time. There’s also the problem of being in good health and not otherwise due for maintenance, since I go to all my doctor appointments early in order to read in the waiting room. I’m joining to cheat here and look up all the books you mentioned above–that neat and tidy list of Australian Women Writers–to call my own. Oh, Barbara, you describe my life as well! Here am I impinging on my reading time (it’s midnight) with blogs and FB! There always seems to be so many things to catch up on. But I have missed reading so much, and am resolved to do better this year. If you’re really interested, click through to the AWW site and then click through to all the reviews from last year (by genre). That’ll give you a big long list of Australian Women Writers! How about Margo Lanagan? I read her short story collection, BLACK JUICE. She’s an astounding writer. I also enjoyed Tansy Rayner Roberts’ Creature Court books. And then there are DEBRIS and SUITED, written by my good friend Jo Anderton (shameless plug for her work here. :D). Ha! Yes, I neglected to mention I have Margo’s Cracklescape on the shelf, plus Sea Hearts comes highly recommended. I read the first of Tansy’s Creature Court series and haven’t felt that compelled to go the next, but I might… As for Jo – yes should definitely give her a go! I noticed all three of these authors were reviewed extensively as part of last year’s challenge. I know I’ve mentioned this author before, but she is the first to come to mind: Melina Marchetta. She writes YA books, some are contemporary fiction (Saving Franchesca, Looking for Alibrandi, and my fave, Jellicoe Road), and then she has a fantasy series, The Lumatere Chronicles (first book: Finnikin of the Rock), that I haven’t read but comes highly recommended. Finnikin is in my TBR pile so I can’t personally vouch for it, but since I love her other books, I imagine it is just as good. Good luck on your very worthy reading venture! Thanks Tami – I haven’t read any of Melina’s, but I have heard her speak about Finnikin of the Rock, so that would be a good place to start! Wow – so many things to read! Had better hunt some of them up on audio! My recommendation will be Narrelle Harris. She’s a Melbourne author who I saw give a talk at Preston library once on the history of vampires in literature. Really enjoyed hearing it. What actually hooked me was her description of one the characters in the 2nd book, a vampire who had decided to go and live in Sovereign Hill as a way to escape from the modern world and live in one that he was more comfortable with! Thanks for that! Good suggestion. I’ve met Narrelle a couple of times and she’s both engaging and entertaining! I imagine her books would be fun. I think you and I might have talked about her before, but I’m rather partial to Lian Hearn’s ‘Tales of the Otori’ books. I wish I could make other recommendations, but she’s the only author I’ve read where I know for a fact she’s an Australian woman. Yes, I’ve read the first one. And I have the others as audio books so that’s a GREAT idea! Thanks, Mike!